BBC World Service - Click, Aviation technology - are we in control? Aviation technology - are we in control? 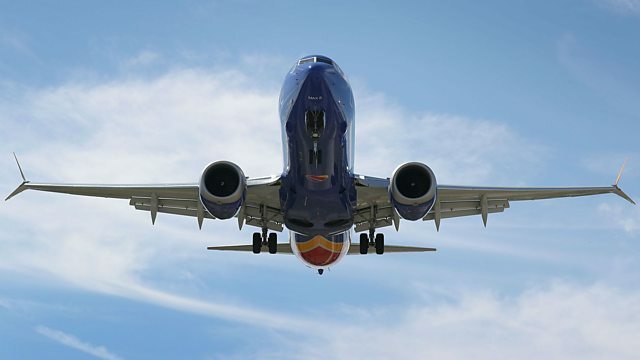 More aviation authorities ground the Boeing 737; Internet cameras easily hackable; Tech saving endangered birds in New Zealand and Meshminds - can art and tech save the planet? As more airlines ground their Boeing 737 aircraft we look at Aviation technology and how much control a pilot now has over his or her plane? An Austrian security researcher has accessed millions of IP addresses in the country and looked at what's connected to them. His work has flagged up unsecured web cameras, printers and web servers. Christian Hascheck passed on his findings to the relevant security authorities. Every year in New Zealand, 25 million native birds are killed by predators like rats, stoats and possums. Now a local social enterprise and a pest trap manufacturer have got together to use technology to trap these pests more effectively. More than 20 multi-sensory experiences have gone on show at the Meshminds 2.0: ArtxTechforGood in Singapore. The exhibition is part of a call to action towards meeting the UN Sustainable Development goals.